Take a 'strange' journey with two brothers in the next installment of the Life is Strange series. 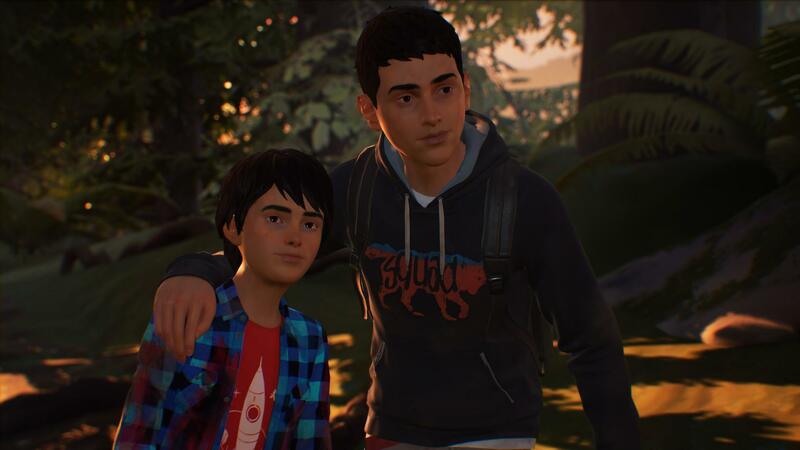 Life is Strange 2 builds on the previous three games in the Life is Strange series (Life is Strange, Life is Strange: Before the Storm, and The Awesome Adventures of Captain Spirit), but instead of Chloe and Max (the intrepid duo from the first game), we have two new characters: Sean and Daniel Diaz. The game takes place over the entirety of a year and is broken up into episodes, instead of being one long game. (We're looking at Episode 1.) Life is Strange 2 explores sibling dynamics, what being a mentor means, and the "coming of age" theme that we've come to expect from Life is Strange. The language in Life is Strange 2 is strong, as the game is rated M for Mature. The clip embedded below has at least one instance of foul language in it, so if you're trying to vet this for your teen, make sure your smallings are out of earshot.